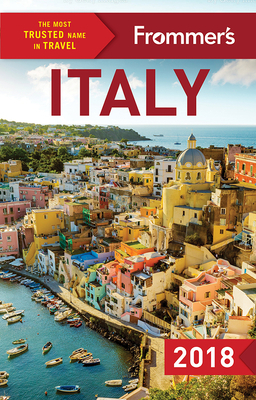 From the most trusted name in travel, Frommer's Italy 2018 is a comprehensive, completely up-to-date guide to one of Europe's most storied vacation destinations. With helpful advice and honest recommendations from Frommer's expert authors, you'll walk among the ancient ruins of Pompeii, float along the canals of Venice, appreciate Renaissance masterworks in Florence, explore off-the-beaten-path Puglia and live la dolce vita in Rome--as well as discover timeless wonders such as the vineyards of Tuscany and cliff-top towns perched along the Amalfi Coast. Stephen Brewer has been writing travel guides for three decades. As an editor and writer, he has focused on European coverage for such magazines as Esquire, Connoisseur and Geo, and he was a producer of a popular radio travel show for many years. He has written several previous guides for Frommer's, Insight, and other companies, as well as authoring Beautiful Small Coastal Towns for Rizzoli. Stephen divides his time between Manhattan and Italy. Elizabeth Heath a long time contributor to Frommer's, has served as editor-in-chief to several regional magazines, and writes articles on travel, business, celebrities, politics and lifestyle for online, local, regional and national outlets. Liz fell in love with Italy on her first visit 17 years ago. She now lives in the green hills of Umbria with her family, plus five dogs, several hundred olive trees and acres of grapevines. She writes about the peculiarities of life in the Italian countryside in her award-winning blog, My Village in Umbria. Stephen Keeling has been traveling to Italy since 1985 (when a serving of gelato was 1000 lire), and covering his favorite nation for Frommer's since 2007. He has written for The Independent, Daily Telegraph, various travel magazines, and numerous travel guides. Stephen resides in New York City. Michelle Schoenung is an American journalist and translator in Milan who relocated to the Belpaese in 2000 for what was to be a yearlong adventure. Almost two decades later, she is pleased that Milan has evolved into a much more international and cosmopolitan city and has shed its image of merely being a foggy northern Italian business hub. Her writings and translations have appeared in magazines and books in the United States and Italy. In her free time, she likes to read, run, travel and explore the city with her two rambunctious Italian-American bambini. She resides in Milan, Italy. Donald Strachan is a travel writer and journalist who has written about Italy and Europe for publications worldwide, including National Geographic Traveller, The Guardian, Telegraph, and CNN.com. He lives in London, England.